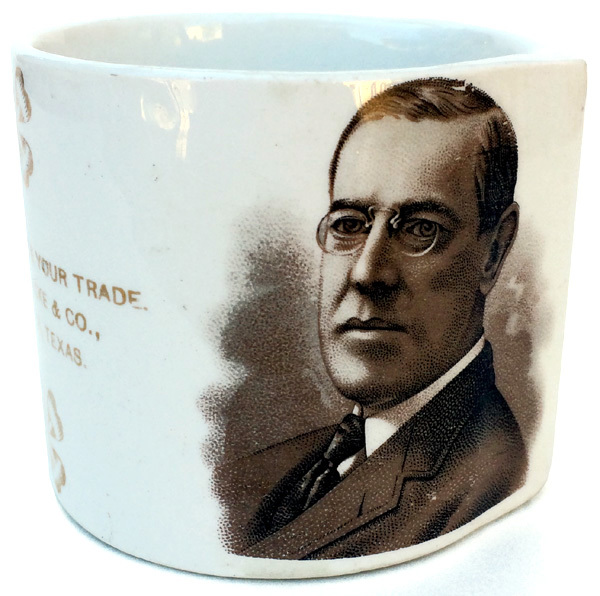 Match holder bearing a transfer portrait of President Woodrow Wilson, c. 1913. Porcelain. Portraits of Wilson each side. Holed in the back for attaching to a wall, and ridged on the bottom to be used as a striker, the match holder is a souvenir of "P.H. Luecke & Co., Giddings, Texas." Near mint example, desirable with Texas merchant imprint.